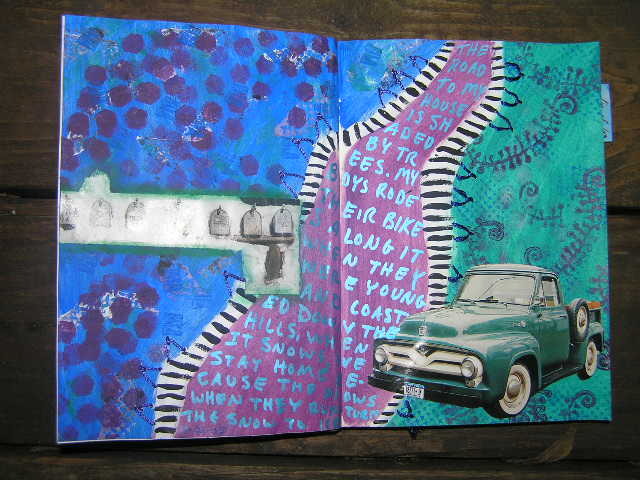 This spread is in Maya's journal. I had paint left over from doing it on my wax paper that I use for a pallette so I used the same colors in my journal. They turned out quite a bit different.